Modular bioprinters offering variable printing modalities in a single printing platform. 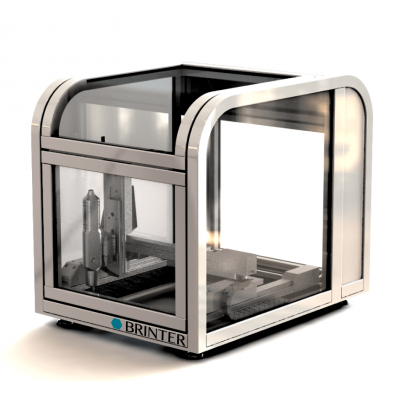 Brinter™ 1 reads in data from a CAD model represented in the .STL format, and utilizes the layer-by-layer method to deposit bioink, i.e. the mixture of cells, supporting matrix material, and nutrients, to create tissue-like constructs. Easy change of dispensing tool. Cost effective for future dispensing head application updates without the need to purchase a new printer. Possibility to integrate 3rd party applications on request. Possibility to upgrade from desktop to mass production use. Automatic calibration system for the dispensing head (PATENT PENDING). Optional heating function for the dispensing head. 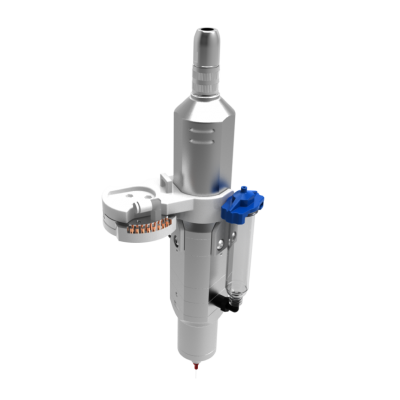 Dispensing head compatible with standard Luer lock syringes and needles. Axis movement area (XYZ): Brinter 1 = 300x300x100mm (SMALLER AND LARGER VERSION COMING). Camera for online process view. Brinter IP photocuring LEDs (PATENT PENDING). Extrusion of thermoplastic polymer filaments (FDM unit). Placement unit that can be used for example to place biosensors etc. (Inside the prints).